Lucy Turnbull joined Grattan’s CEO, John Daley in a discussion of the List. 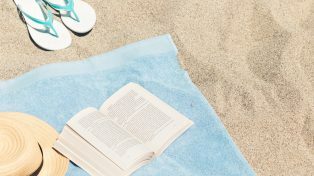 Now in its fifth year, the List contains books and articles that we believe the Prime Minister – or indeed any Australian – will find stimulating over the break. 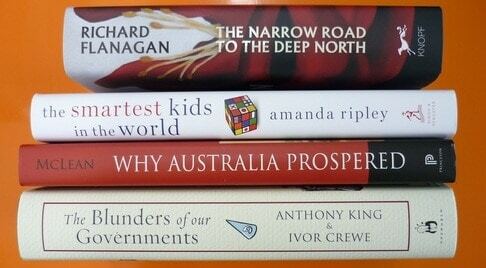 They are all good reads that we think say something interesting about Australia and its future. And they make terrific Christmas gifts. John Daley, Grattan’s CEO, is one of Australia’s leading public policy thinkers with 20 years’ experience spanning policy, academic, government and corporate roles at the University of Melbourne, the University of Oxford, the Victorian Department of Justice and consulting firm McKinsey and Co. Most recently John was the Managing Director of E*TRADE at ANZ, leading Australia’s second largest online stockbroker. Lucy Turnbull, urbanist, businesswoman and philanthropist with longstanding interest in cities, and technological and social innovation. She chairs the Committee for Sydney and is Chairman of Prima BioMed Limited, an ASX- listed biomedical company undertaking clinical development for an immuno-therapeutic cancer treatment. She is a director of Sealink Travel Group Limited. She was the first female Lord Mayor of the City of Sydney from 2003-4. In 2011 she became an Officer of the Order of Australia for distinguished service to the community, local government and business. In 2012 she was awarded an honorary Doctorate of Business by the University of NSW. This year we are proud to publish our list in partnership with Readings.